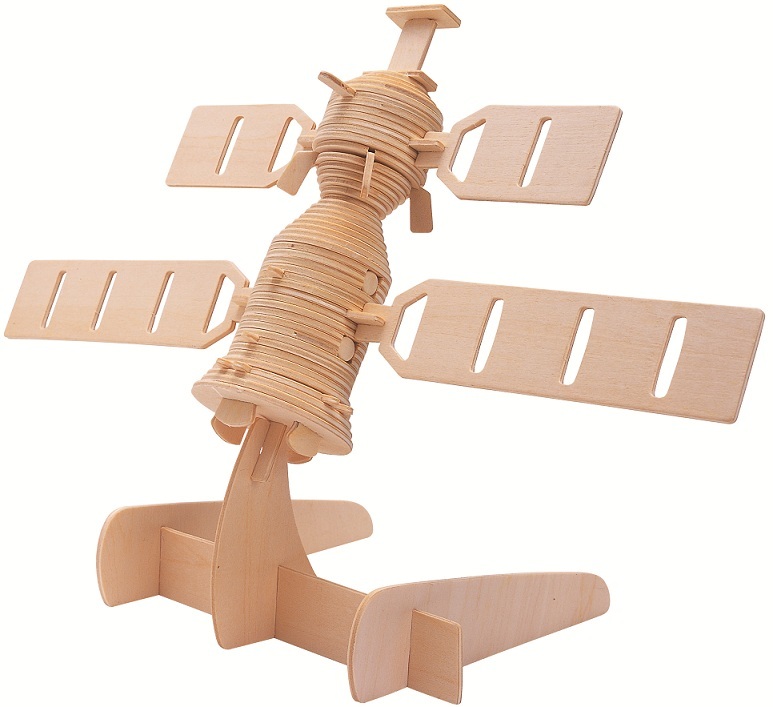 This is a Great Satellite model, a 3D Jigsaw Woodcraft Kit. It is a high grade 3mm wooden puzzles that comes with assembly instructions. Designs are pre-cut. Contains 72 pieces that simply push out from the boards, No cutting or tools are required. The Individual pieces are slot together to form a 3D model. Can be painted or left natural.